My class just finished a reading unit on figurative language. It was so much fun to teach/review this with fifth graders! I loved being able to build on what they already knew, and go a little deeper. This year I taught it with Reading (well I always have taught it through reading, but mostly had a grammar/language arts view in my lessons). Once again Pinterest ideas struck my lessons. My co-teacher found a link on Pinterest to a figurative language booklet idea. After looking at that and a few other ideas we came up with our own "version" of this booklet. The kids did GREAT! I also made a mimio to go along with the unit and used picture books each day (with each type of figurative language) as an "attention getter" or opener. I LOVE how the booklets came out, so here are a few pictures. Also CLICK HERE to get the figurative language packet which also includes a rubric I made in order to grade them! This week during ITBS testing I wanted to give the students a little something fun to do, as a break. So I made this fun activity to go along with the book I Need My Monster. As I have mentioned before I LOVE THIS BOOK! It is so cute! And this lesson just proved that even big, bad 5th graders love this book. It also was a great book to use with Halloween just around the corner. After reading the book we discussed all the different text elements we heard/saw in the book. 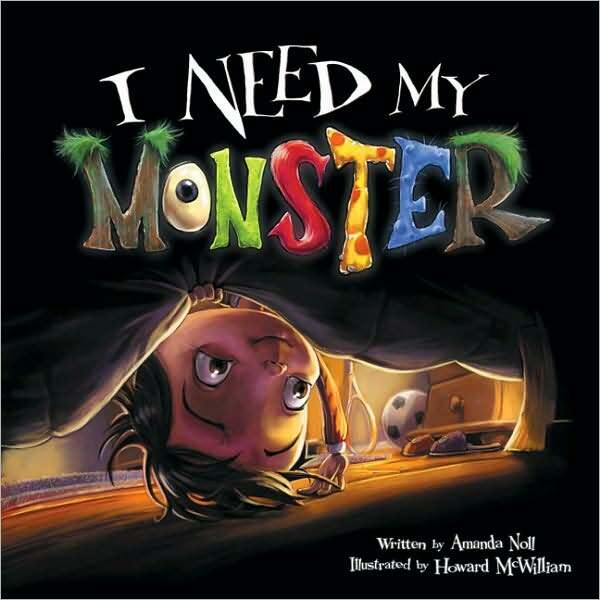 I mentioned that I had used this book with opinion/persuasive writing before (because the monsters are trying to persuade the little boy to allow them to be their monster). After discussing I gave each student a copy of the glyph WS, where they had to answer questions as to what they would want their own monster to look like. The next day we began assemblying our glyph monsters...they came out SO cute!!!!! The final step was that they had to write a descriptive paragraph as to what they would want their monster to look like (not what the glyph looks like, but based on their choices from the WS). I haven't gotten their paragraphs on the wall yet, but again they LOVED doing this little project/activity and everything turned out ADORABLE! Okay to I have to admit I have a problem...well, maybe an obsession. I am completely obsessed with different markers/pens to use with my interactive notebooks! 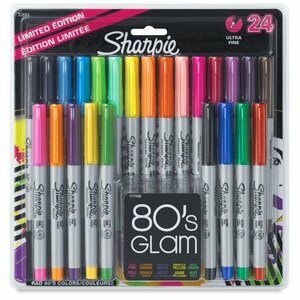 Seriously I find myself staring at the different Sharpies (fine point), Felt Pens (love them, but not how quickly they dry out), and any other type of "fancy" marker/pen I can use for my notebooks. As you can see in previous posts I love to make my notebooks eye catching, exciting, and colorful! 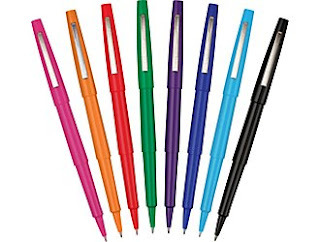 Warning, if you are going to use these markers/pens you must have a buffer page in your notebook at all times, and of course you can't use the back of the pages. With this said, I have almost filled an entire spiral notebook for math already! The current problem that I have is my daughter found my stash in my bookbag! I really didn't want to share AT ALL!!!! 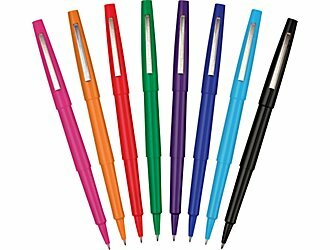 Because no on touches my pens, NO ONE! Okay so she does, but I must say she has been really good with them, and basically uses them to play school...setting different ones out for different students. But I am thinking when I have a little extra cash I am going to invest in a second set that will be mine ONLY, and keep the others in my bag for when she wants to play school! I also wanted to let you know that I have seen a little break in the clouds of testing, teaching, lesson planning, data collecting, meeting, conferencing, and so on...therefore I have put together TWO, yep TWO great things to give you all! I know, it's long overdue! I was all ready to post one tonight, wrote the post and everything! Then realized I had everything I needed, minus the pictures that explain the "how to"! UGH! So stay tuned! 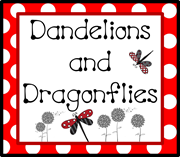 We have just wrapped up a great Figurative Language unit for reading, and I hope I can share it with you all sooner than later (not that I am trying to tease you or anything). Where do I get the notes: ANYWHERE and EVERYWHERE! I do type them up myself, usually I am sitting at the table/desk/couch with my textbooks open, testing questions/books, internet pages up and as I toggle back and forth I type them up. They also vary based on content, some content naturally lends itself to interactive notes, sometimes I really have to stretch. With that said, again I hope to maybe compile a few packets of notes, but for now...enjoy some Science notes. Well a MUCH better week this week and a long weekend! Whoohoooo! Here are some of my math interactive notes, I love how math is coming together this year. I never would have thought it, but I think it is becoming my strength!